Cheers SE!! People outside the UK, unite! Just watched the last two weeks of it on 4OD (stupid sky plus) and both were hillarious. I think the dinner party one was the best though. If only for my secretly fancying Noel! 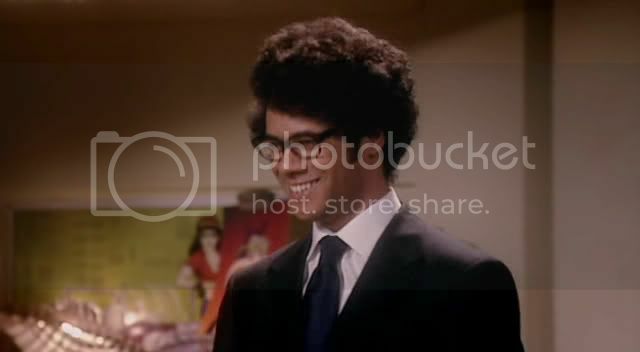 Moss looked AMAZING in the suit, in the Dragon's Den suit. Could someone do a screenshot? I also loved him in his jogging outfit. Cuddly grey hoody AND shorts? a1tiptop wrote: Just watched the last two weeks of it on 4OD (stupid sky plus) and both were hillarious. I think the dinner party one was the best though. If only for my secretly fancying Noel! ahh you like my husband Its the voice and the goth thing isn't it?! Noticed his hair isn;t as dead straight as series 1. Might because his haircut is slightly different these days. Dinner party one last week was awesome, this weeks was alright. 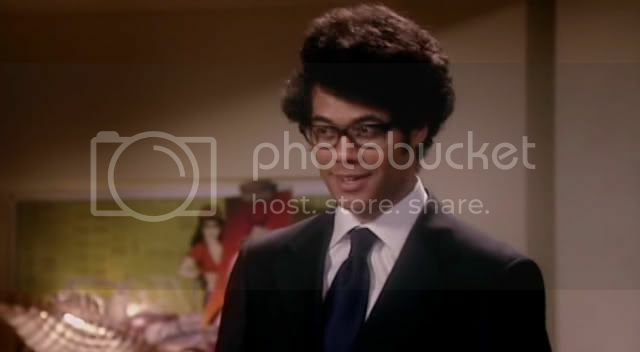 Moss in a black suit, mmm! 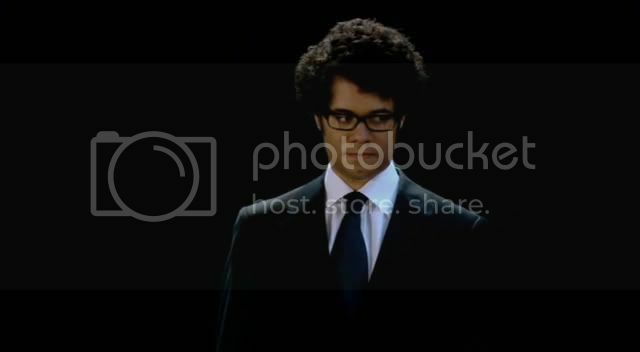 a1tiptop wrote: Moss looked AMAZING in the suit, in the Dragon's Den suit. Could someone do a screenshot? Oh my god!!! Those screenshots are AMAZING! Thanks so much SailorEarth! Doesn't he look dapper? Laura Folds Five wrote: Agreed! I concur with everything you have said here! Mmmm! I found the episode disappointing though and the weakest so far. These Moss aspects were probably the only redeeming features. Yes, great pics SE! Thanks! I love that pouty sulky look he does as in pic 3! That whole scene cracked me up so much. SailorEarth wrote: That whole scene cracked me up so much. Ah, yes I did like that too. What sort of person doesn't even look in a mirror though even if you do go straight from a night out?! Yes, I know it's not real! 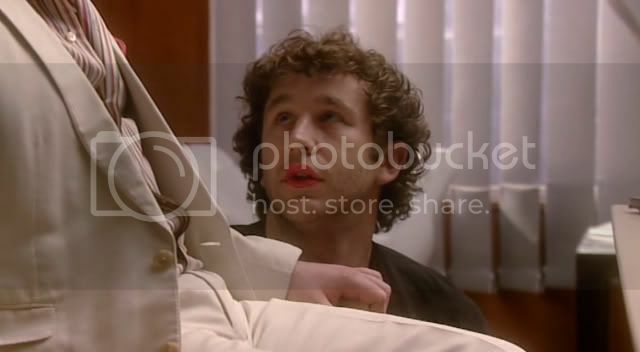 I saw a clip of it before the episode, so I didn't realise what context it was in, which made it seem so weird, I kept thinking "WTF is he wearing lipstick for?!" "The Ordinary Boys... Where do they get these crazy names?" "They are not ordinary boys at all!" (Paraphrase. I don't remember the line.) Actually when I think about it the episode had a lot of good stuff in it. Well quite a bit. I just don't think it gelled together to make a complete and good story somehow so it left me feeling a bit disappointed. It was entertaining though. 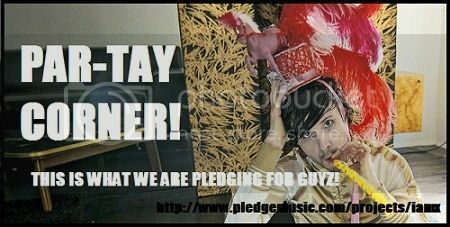 Don't really know where to put this so putting it here as it has Richard in it. There is gonna be a Channel 4 anniversary Big Fat quiz like the Big Fat Quiz of the Year. Richard is on a team with David Mitchell. So wanting their team to win! It's sure to be good and even if it isn't we can look at beautiful Richard!